what would be the best way to play Japanese games on original hardware in north America ? 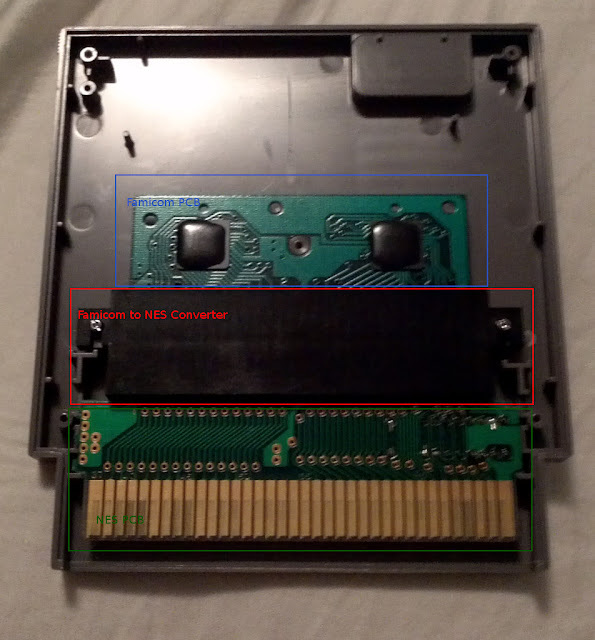 I know about removing the snes tabs, but what about famicom ? is the voltage difference important ? Well, Japanese consoles can be used in north america without issue, unlike PAL. For famicom you just need an adapter. 60 pin to 72 pin and vice versa. I've been playing NES games on my av famicom for years now without issue. is it really safe to just plug it without concern ? Well the alternative is to just get a famicom. It’s easier to just buy a Famicom than to use a pin converter on an NES because the converters can be hard to find and you also need a cloth strip to be able to actually remove the game from the console once it’s in there (unless you use a top loader). And as others said, yes, JP console in America won’t blow up over any potential over loading, the AC adapter handles it. My source is I’ve been using JP consoles in America for years and none have gone kaboom. The only console I ever needed an adapter for was the iQue because it’s a Chinese/PAL console. If you have any hangups on third party solutions and you have any 5 screw games you don't like, you could use the Nintendo made adapter built in to one of those to play Famicom games. If you own a "Sega MegaDrive/Genesis (Type-1) AC Adapter and the Sega Master System/SG-3000 AC Adapter" from your particular region, the Famicom will operate using that as normal. The little info found on SDA also seems to support this. "(You can use a power supply from a Mega Drive 1 or Master System 1 (better to use)." That thread suggests this stepdown transformer for use with Famicom in the USA: https://www.amazon.com/VCT-VT-1000J-Japanese-Transformer-Converts/dp/B000PC4SVU if you do not own either of the above AC adapters. @Krayzar that method is horrible, those built in converters are rare and hard to find because they are only in random, early NES games. There’s only a couple games that always have one and those are usually pretty expensive. If you get lucky that’s one thing, but take it from someone who dumped $50 into used carts of games to try and find one - just buy a Famicom for $50-$80 on eBay. And the estimated rarity is anywhere from 100k to 200k made like this. They may go for a lot sometimes, but they aren't exactly super rare. Check your 5 screws! You might be lucky. Could have one and not know it, like I did. Generally though, I do agree that an AV famicom is the way to go. so AV Famicom with Genesis powerblock ? so if the US block fits in the japanese console its gonna output the right voltage ? My AV famicom came with the power brick made for that console. It's all I've used for 4 years without issue. Not sure what the hesitation there is. No, actually, the US ones output AC because most NES versions (if not all in my understanding) handle the conversion to DC in a power module on the system board. The Famicom expects DC from the adapter, and AC could potentially damage the system, so an NES power supply won't do. Like @Komrade said, the power brick the AV Famicom comes with should work safely with a step down converter (as @Liv mentioned), and yes, according to my Google-Fu, a Genesis power brick might work as well. I only own a single Sega system (Dreamcast) so I can't really verify what I see on the net. Maybe someone else can better confirm that part. Anything with those specs should work. Honestly though, if you just want to play Japanese games on SOMETHING, you could just buy an Everdrive if you don't care much about playing the original carts themselves. Even for speedrunning, most leader boards accept them, and aside from a few edge cases, mapper support is perfect for a lot of Japanese games. Fair warning, they are about as much money as an AV Famicom though. I just think its weird how opinions vary on this subject. There's definitely a difference of opinion on the need for a step down converter. On the one hand, a 20% difference is well within tolerance for most consumer electronics, but on the other hand we're talking about tech that's close to 30 years old now. Whatever built in tolerance there was is probably a whole lot less tolerant now. If you do go the AV famicom route, personally, I'd get the converter.